ITV has released a first-look extended preview clip for new ten-part crime drama, Houdini & Doyle. The series stars Stephen Mangan as Sherlock Holmes creator Sir Arthur Conan Doyle alongside Michael Weston as master magician, escape artist Harry Houdini, two of the most fascinating and iconic characters of the early 20th century: real-life friends, real-life adversaries, real-life crime solvers. At the turn of the 20th century the pair are called into collaborate with New Scotland Yard when the Metropolitan Police were overwhelmed with bizarre and often inexplicable cases. Whereas Houdini doesn’t believe in the paranormal, Conan Doyle is a passionate believer, having lost someone very close to him, he desperately wants to find a way of communicating with them. 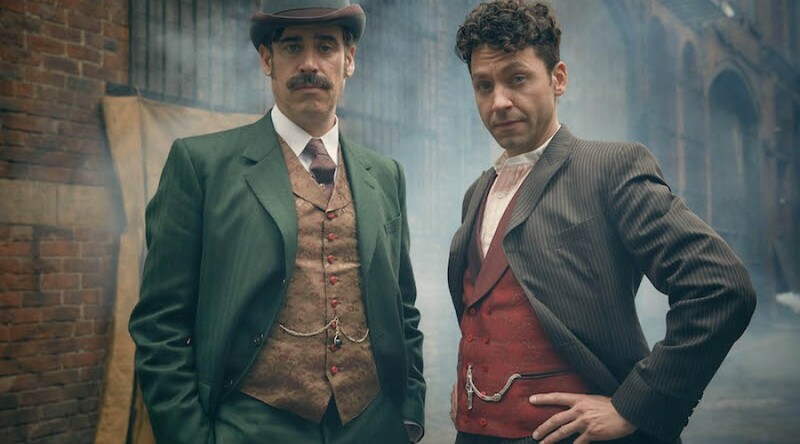 Houdini & Doyle begins on Sunday, 13th March at 10.15pm on ITV Encore.